One of our main goals as a community platform is to connect creators and artists to one another in real life. We love hosting meet ups and events where creatives can interact with one another to create things together. Now that the weather is finally warming up and the days are getting longer, we thought it was prime time to get outside and explore all our city has to offer. This is exactly why we were so excited to host IGDC this past April for our first photowalk of 2018! A photowalk is a gathering of creators from all walks of life, who come together to explore a space together and capture photos. Phil Martin had let us know his IGDC crew were going to the Baltimore Museum of Art and as part of their day in the city, they wanted to explore! We couldn't be more excited to show some friends from DC a little slice of Baltimore and thought Hampden would be the perfect spot to do so. After their visit to the Baltimore Museum of Art, the IGDC crew met with us at the Charmery for stop number 1. From the outside alone, this is one of our favorite spots. There is a mural created by Michael Owen (@michaelowenart) as a part of his “Explore” series. The "R" pays homage to the pharmacy (i.e. Rx) that used to exist here. From there. we couldn't pass up the opportunity and all walked in to grab some of the best ice cream in the city. Once everyone was satisfied, we moved onto stop number 2. A little hidden in the neighborhood, there is a mural that spells out "Hampden," painted by artists Hadley Cornell and Mary Bruno at Hampden Elementary School. We thought this was the perfect spot for our group shot. From there, we strolled down 36th Street, also known as "The Ave." We made a few stops along the way including Baltimore In a Box, Brightside Boutique, a few more murals, and other gems along the Ave that make Hampden a special place. After a few blocks, we arrived at stop number 3 - The Skatepark of Baltimore. While it was not our first time here, a lot of locals don't know this exists. We took some time to shoot individually and then took another group shot, this time with Isaiah's drone. After that, we wandered down towards our stop number 4, Union Craft Brewing, a staple to Hampden and Baltimore. 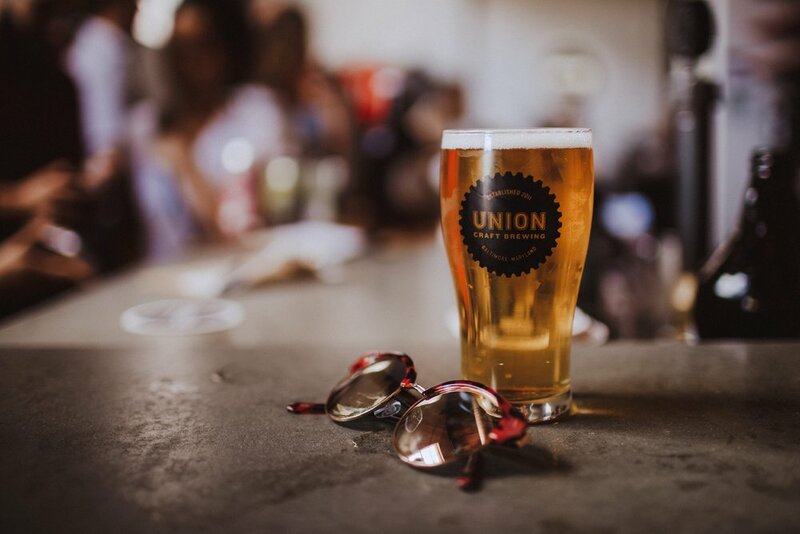 As Union makes their way to the new Union Collective, we wanted everyone who came to the walk to experience what their original brewery had to offer. While we had a few brews and food at Union, we were sure to share a few more of our favorite restaurants with IGDC: Blue Pit BBQ, Artifact Coffee, Dylan's Oyster Bar, and Paulie Gee's, to name a few. We are anxiously waiting to host our next photowalk, but we haven't picked a spot yet. Any ideas? Shoot us a DM on Instagram with your thoughts.